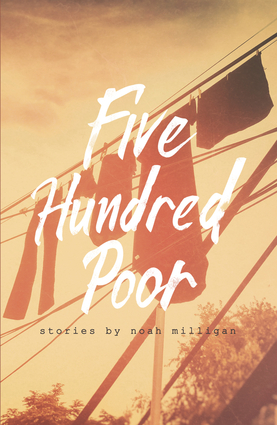 From acclaimed author, Noah Milligan, comes a short story collection, Five Hundred Poor. The title comes from Adam Smith's The Wealth of Nations, "Wherever there is great property there is great inequality. For one very rich man there must be at least five hundred poor, and the affluence of the few supposes the indigence of the many. The affluence of the rich excites the indignation of the poor, who are often both driven by want, and prompted by envy, to invade his possessions." These are ten stories of those five hundred poor, the jaded, the disillusioned, and the disenfranchised. Noah Milligan began his community banking career in 2008 in the midst of the subprime mortgage crisis. The resulting Great Recession reshaped his professional and personal life and inspired this collection. Noah Milligan's debut novel, An Elegant Theory, was shortlisted for the Horatio Nelson Fiction Prize and a finalist for Foreword Review's 2016 Book of the year.